101685, affectionately known as Daisy, at Chester on 21st November 1994. The HST is forming a Holyhead to Euston service. 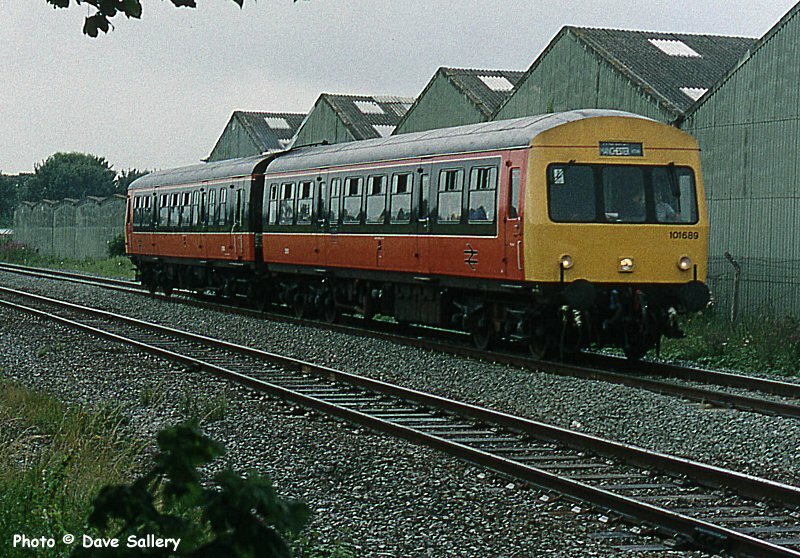 A former Western region Class 121 single car unit is seen on Chester depot on June 14th 1993. 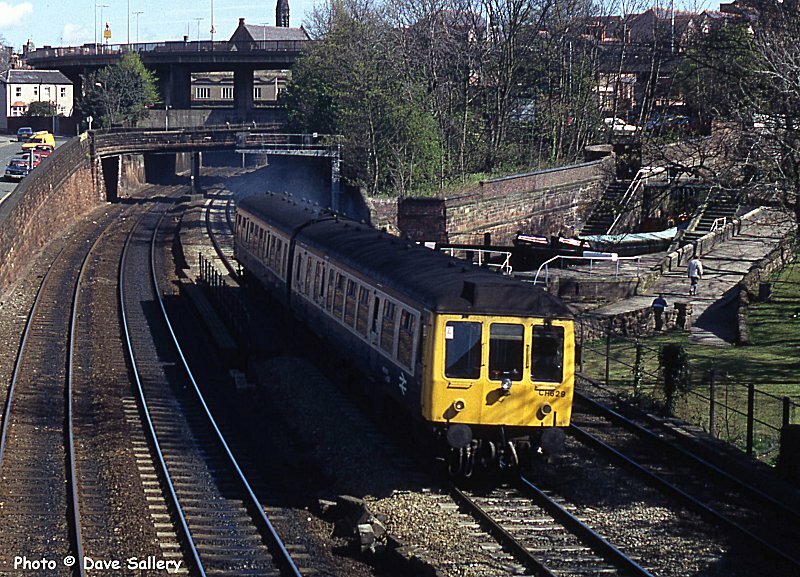 The unit was in use as a driver route learning vehicle and its departmental number was 975023. 101680 at Chester locks, 18th June 1990. The Derby lightweight Class 108's were among the more successful D.M.U. 's and only the decision to concentrate on 101's caused their early demise. Here unit CH629 is seen leaving Chester on a Llandudno train. This set had recently been transferred from Landore depot in Swansea where it had been fitted with a headlight for working over the Central Wales line to Shrewsbury. April 12th 1990. 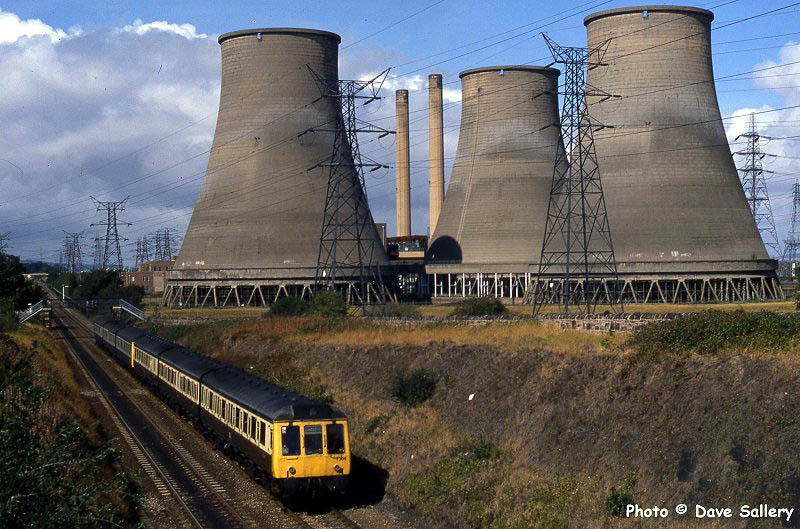 Tyseley celebrity set T305, in GWR chocolate and cream livery, passes the disused Connahs Quay power station on 8th September 1990. 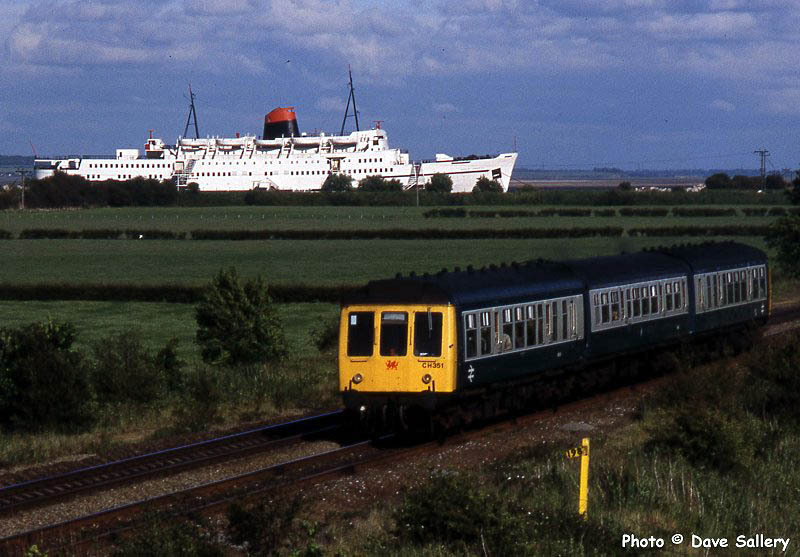 A class 120 unit forms an evening service down the coast on 17th August 1981. 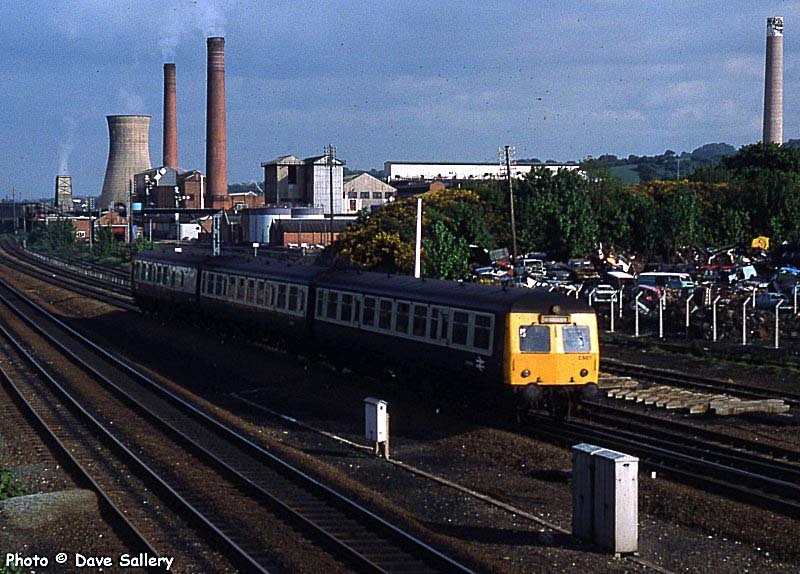 The train is passing Holywell Junction with the now vanished Courtaulds works in the background. Chester set CH351 passes the "Duke of Lancaster" on the evening of 6th June 1990. 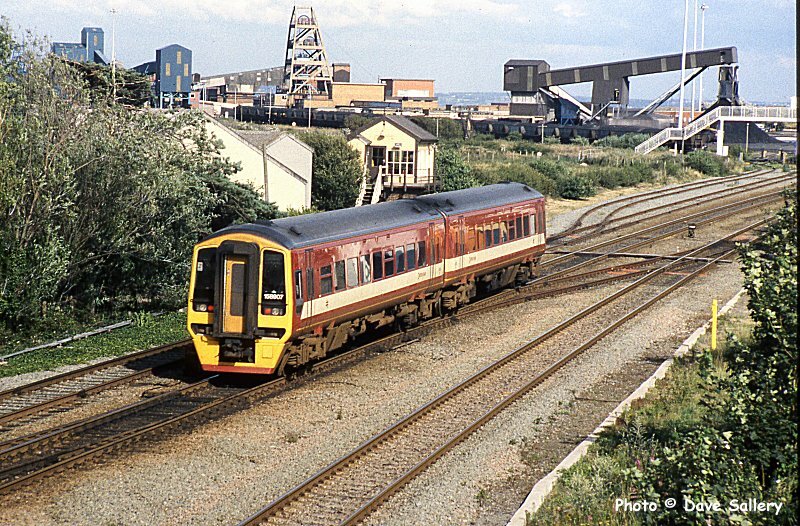 A Class 104, built by Birmingham Railway Carriage and Wagon co, leads a pair of class 108's through Mostyn on a Llandudno - Manchester Victoria working May 31st 1989. 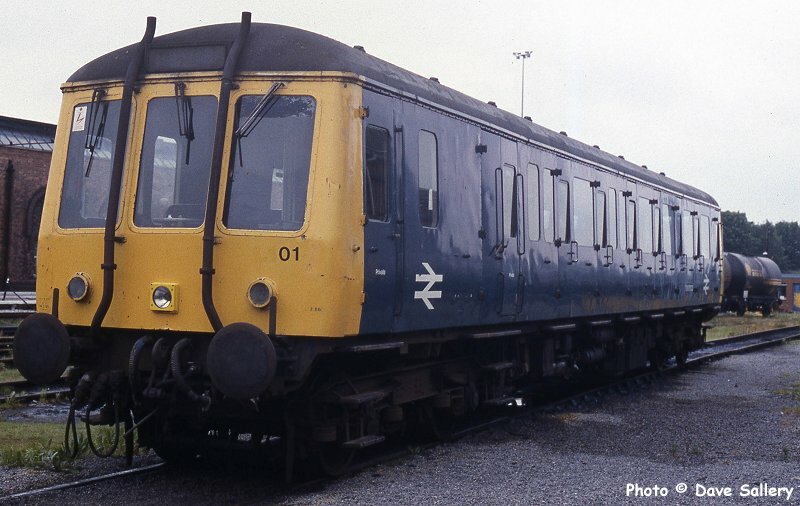 These units ran in plain blue livery until withdrawal in 1991. In the background can be seen a Class 47 on a steel coil train for Mostyn Docks. West Yorkshire P.T.E. liveried 158907 passes Talacre on 21st July 1992. These were a fairly common sight until the rigid system of franchising took over. 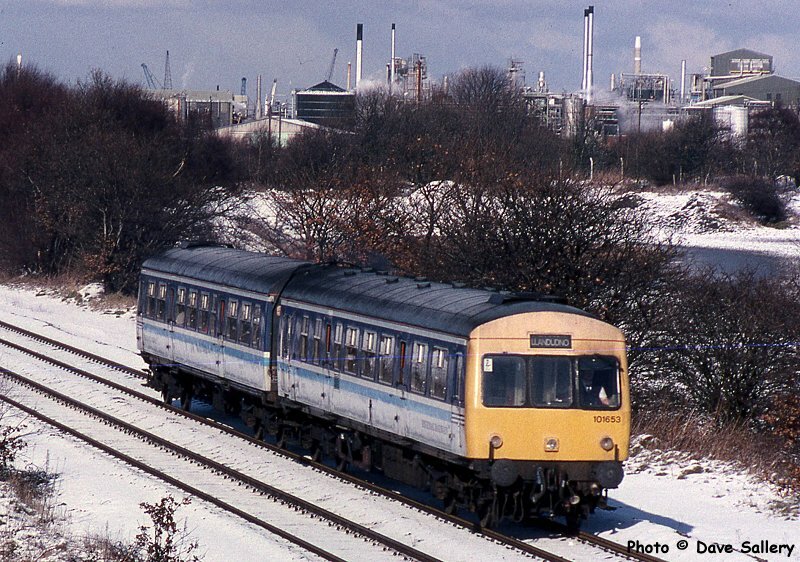 The Metropolitan Cammell built Class 101 sets were the last of the first generation units to see service in North Wales being used up to the year 2000. 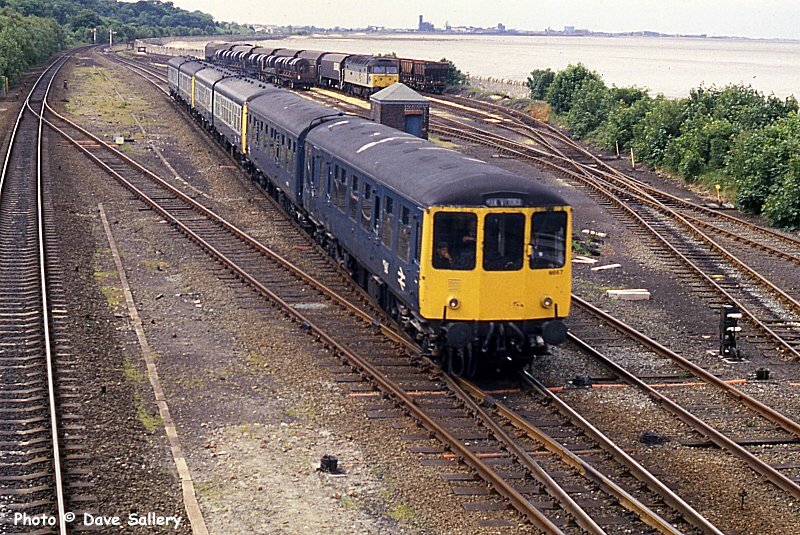 This is 101689 in Strathclyde livery leaving Prestatyn on a wet July 31st 1993. A spate of re-openings in the Glasgow area caused these units to be put through works and repainted. Pending the start of these new services, they saw use in the North West and North Wales. 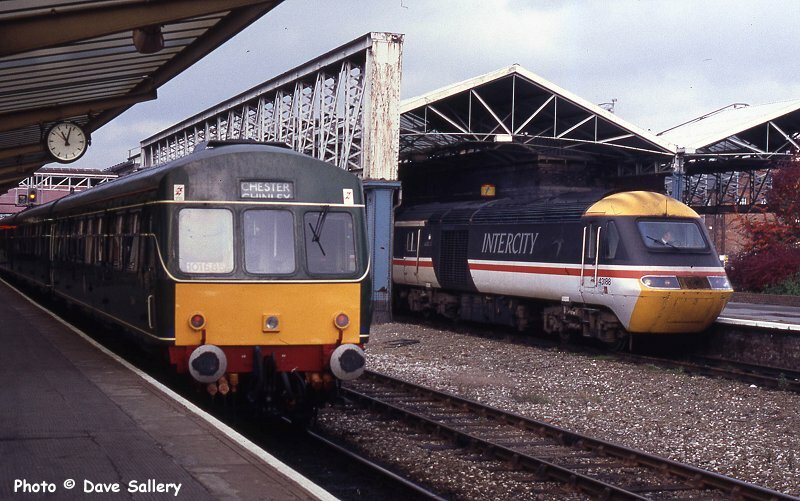 Ironically, their replacement by class 156 Sprinters in Scotland saw these units transferred back to Manchester a few years later, where they saw out their last days. 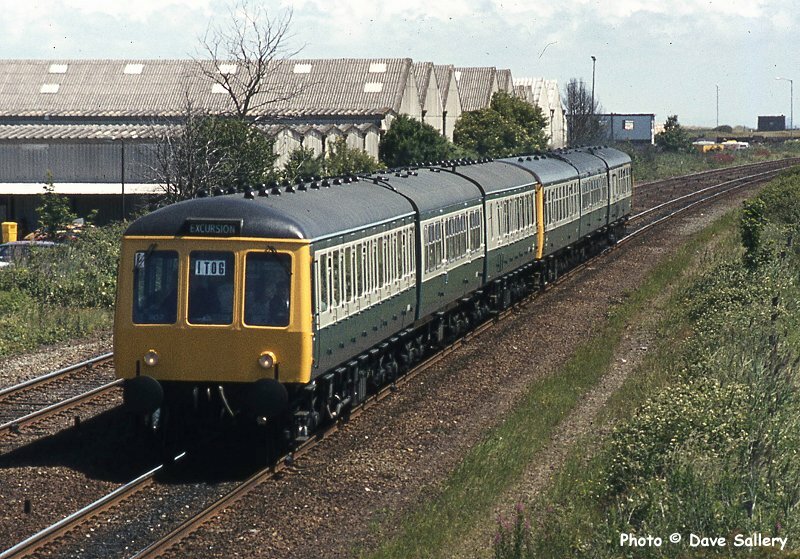 A mixed formation comprising units from classes 116, 101 and 120 is seen approaching Prestatyn on an excursion working from the West Midlands on July 2nd 1984. Suburban units like these were unsuitable for a journey of such a length.